HARTA (5168) keep on retest bolinger band resistance. Will it breakout resistance & go higher? 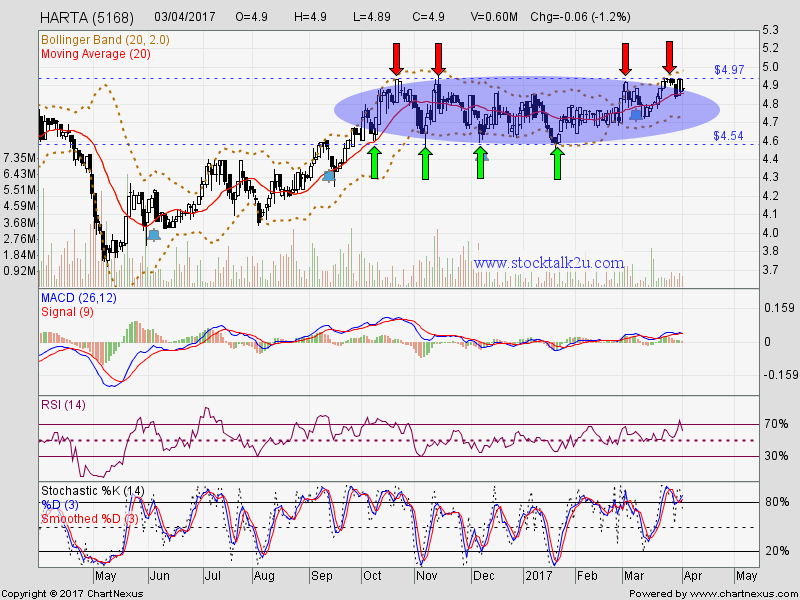 Immediate support @ RM4.54 level. Subsequent support @ RM4.40 level. 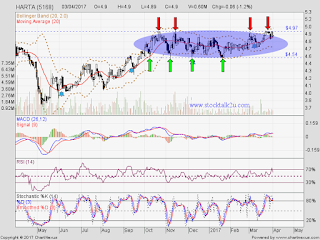 Subsequent resistance @ RM5.13 level. Let's watch closely for opportunity.